Patients are seen by appointment only, so please call ahead even if you feel your child needs to be seen right away. We have same-day appointments available every day. We accept cash, checks, debit, cards, Visa, and MasterCard. Copayments, co-insurance, and deductibles are due at the time of your visit. For patients without insurance, we offer a 30% discount on most charges if paid in full at the time of your visit and vaccines are provided by the state with an administration fee of $10 per vaccine. 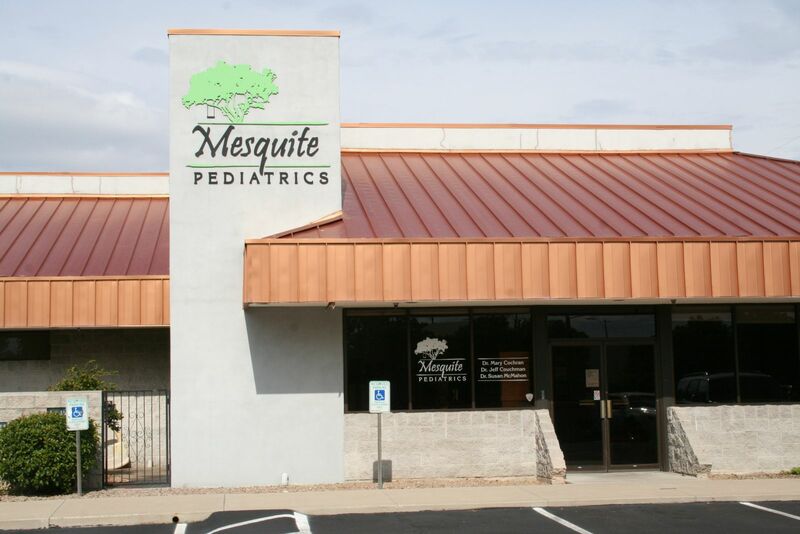 At Mesquite Pediatrics, we feel it is important to use technology to its fullest to provide a better patient experience and quality medical care. We use an electronic medical records system that is designed specifically for pediatric practices. This allows us to track a child's health better than ever before. It includes a web portal which allows families to access information from their medical chart (such as immunization records and growth charts) from home. Families can also communicate with us through the portal by a secure messaging system, update their personal information, or request an appointment. We pride ourselves in having the most state of the art equipment available. We use the latest technology to perform hearing screens at any age starting in the newborn period and can do vision testing as early as 6 months of age. We perform lung function tests for patients with asthma. We have an interface with Radiology Limited so that we can view our patients' x-rays online as soon as they are taken. We also have direct access to medical records at TMC so we can look up information on ER visits and hospitalizations even during a patient visit to our office. Our nursing staff and and doctors carry laptops everywhere they go so that all of this information is available anywhere and anytime in the office.